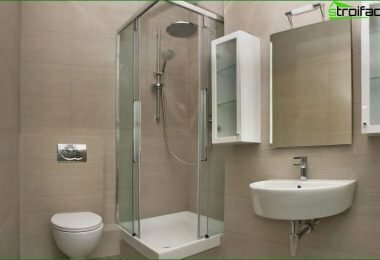 In modern apartments rarely seenbath and toilet in the same room. Unsightly and uncomfortable. But in the old - WC - a common phenomenon. It can be converted into practical impractical. One has only to start. Of course, with the organization of space. The best option - a linear arrangement. 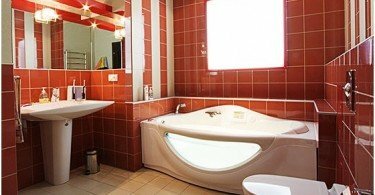 This is the case when all the items in the rooms are located a number of bathtub, toilet, sink. This is to ensure that there was no such situation, when one member of the family went to bathe, bent down to lift the towel and hit the face in the toilet. Certainly, a linear arrangement, if there were noonce conceived project can be done. Just need more investments. We'll have to stretch the tube of greater length, to place items in a single line. But it's worth it to have been subsequently comfortable. Combined bathrooms are small. 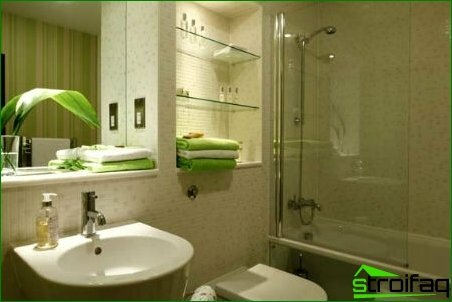 And so as not to clutter the space, you need to choose the right furniture for the bathroom. If possible, use a harness. This refers to the sink and various tables and lockers. 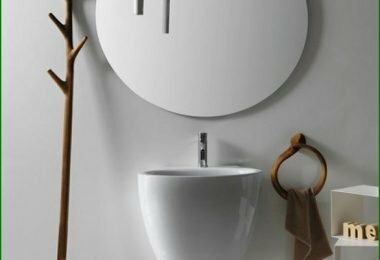 If you buy a hanging sink, then below it, you can easily put the washing machine. 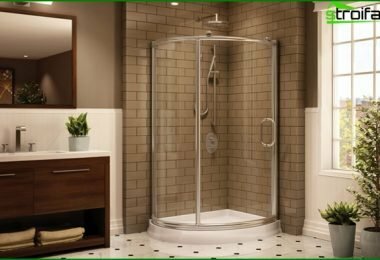 Replace the bath shower. This point will also help save space. 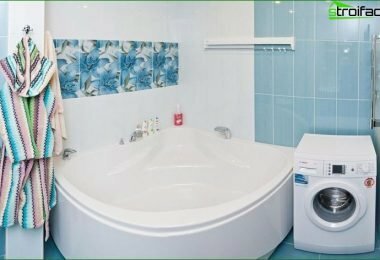 If the owners can not see life without hot bubble bath, then you can easily pick up a shower of large size, which is plenty of room to soak in the foam. Use the angular furniture. 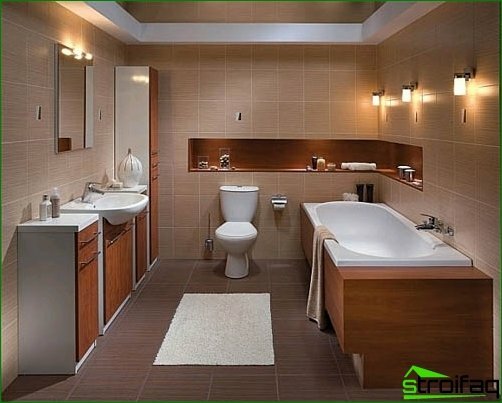 If required by the optimization of space, you can easily buy a corner toilet or shower. 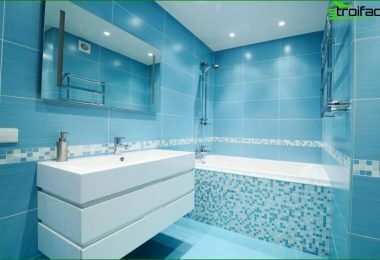 To visually expand the space, you should pay attention to the following points when selecting materials. 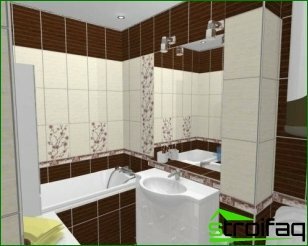 Select a mirror tiles of small size. This visually expand the space. In addition, there is a perception that the black bottom and white top wall visually increase the room. On the contrary, such an approach visually steal extra centimeters. And to really expand the space, it is necessary to give preference warm orange, peach color. 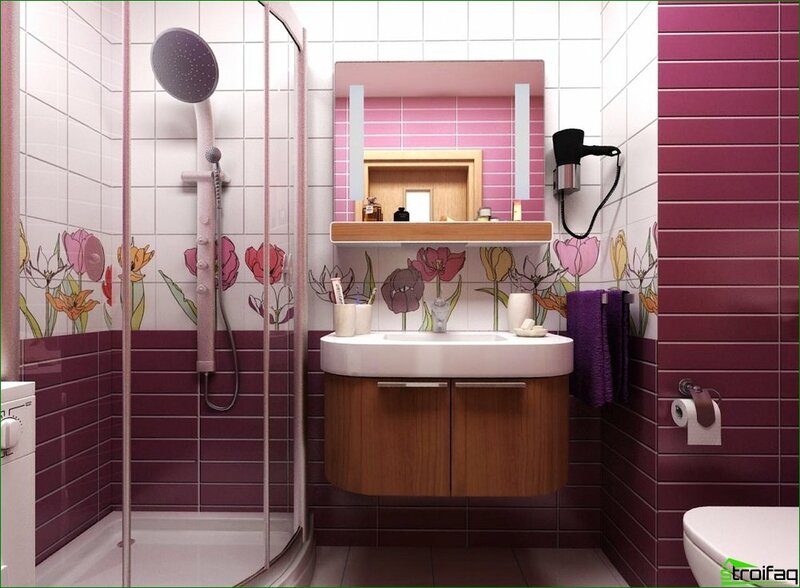 You can even choose the color of the tiles around and put in a staggered manner. This option also play into the hands of space. Use mirrors. And it is best to mount them deep into the wall space using plasterboard. You can also use the lockers with mirrored doors. Also benefit interior space. Tiled flooring in form diagonal. This method of stacking visually expand the space. As a material for the decoration of the ceiling the following materials can be used. Ordinary plastic panels. They are ideal for small spaces. Will lay down evenly and create the impression of a unified fabric. Plasterboard. This option is also suitable. Just one moment. It will need to paint or lime. And while washing the coating wears off. Accordingly, the repair of the ceiling will need to spend much more later. And now about the light. You can, of course, as the lights take a glass bowl. But this is not the best option in terms of the organization of space. It is best to use the ceiling perimeter LED lights. They extend the ceiling space and will look modern.